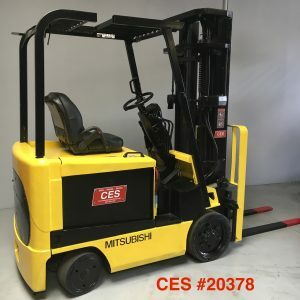 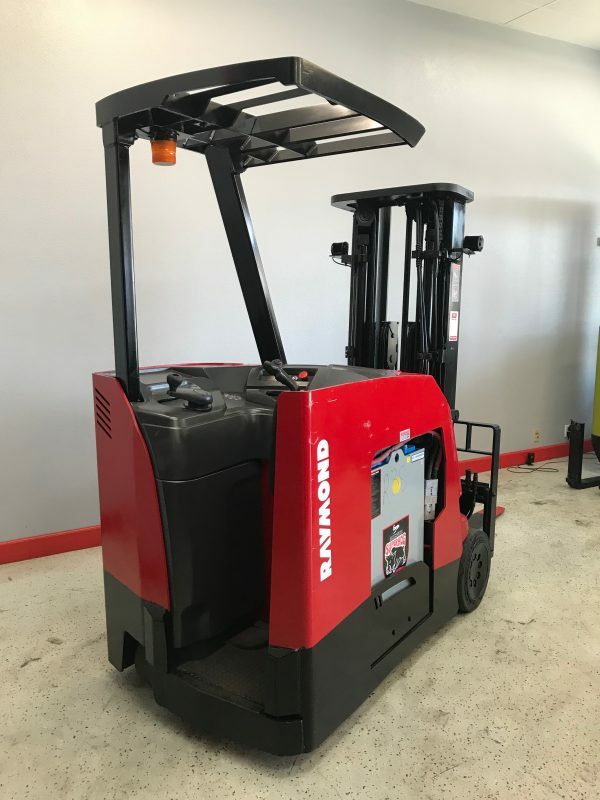 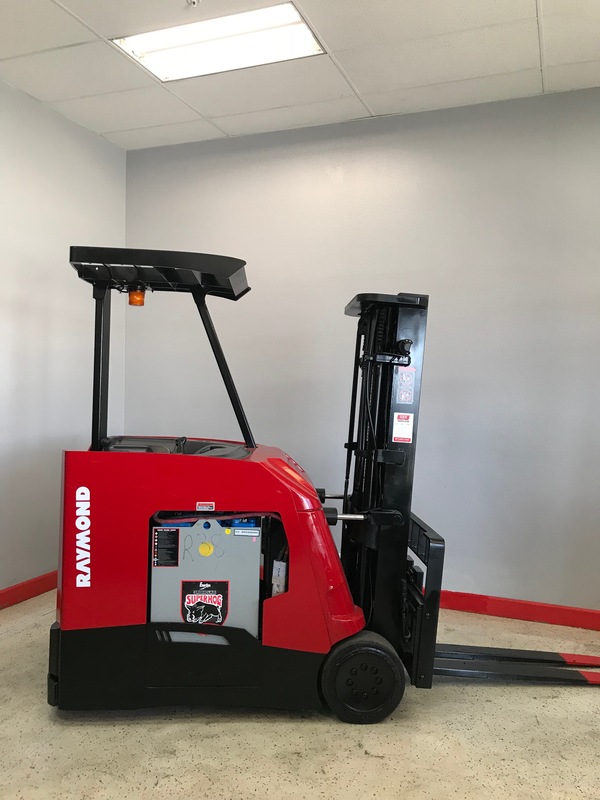 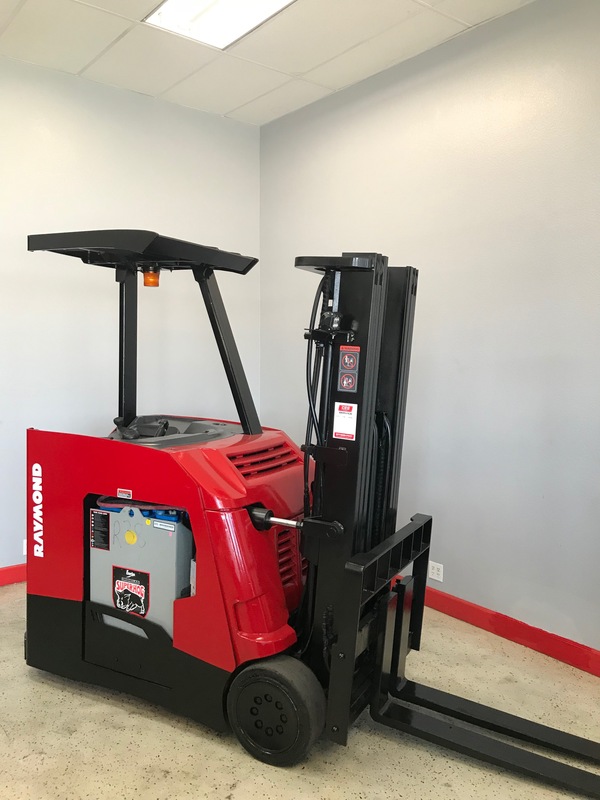 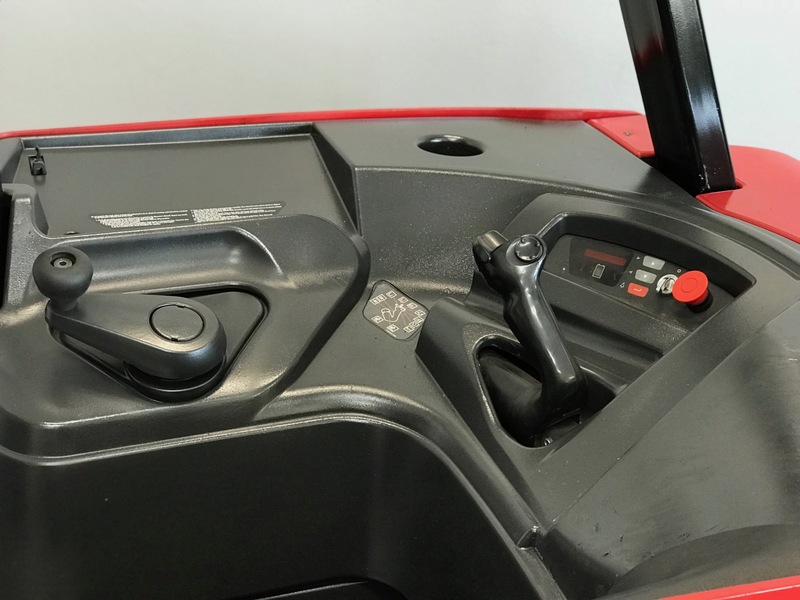 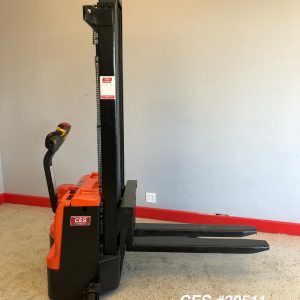 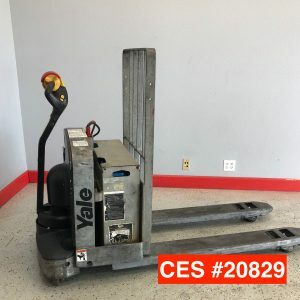 This used Raymond electric forklift (docker/stand up) has been reconditioned (rebuilt drive motor) and is ready to perform with its three-stage mast. 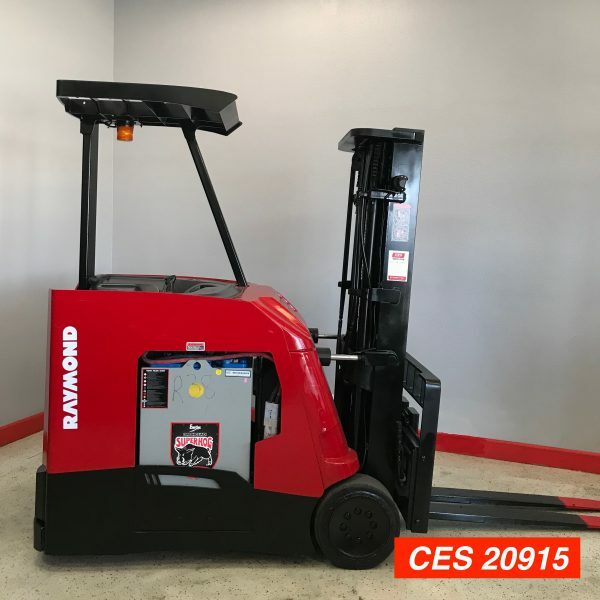 This forklift comes complete with a one-year battery warranty. 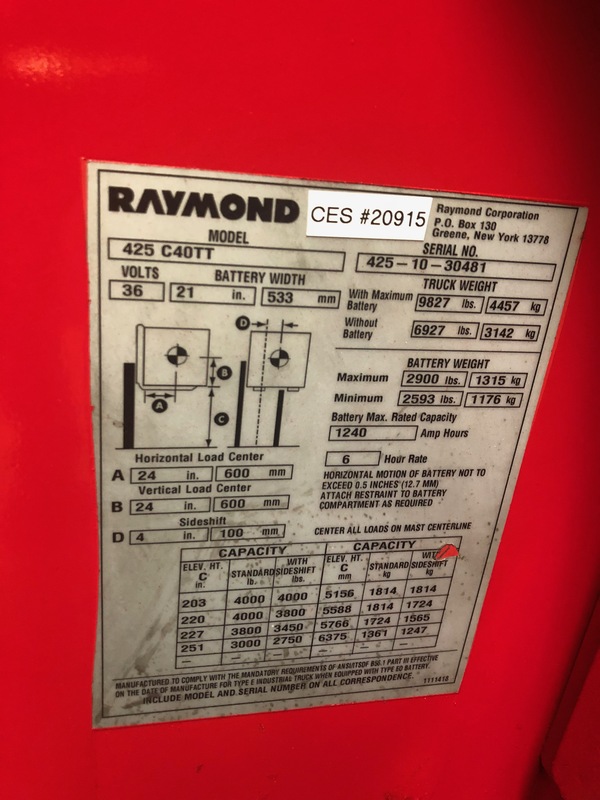 Battery Condition: Great 4 Year Old Battery – One Year Warranty with quarterly service.